MEET Son of Scarsides: the freshly hatched offspring of one of the oldest stud crocodiles in the Far North. 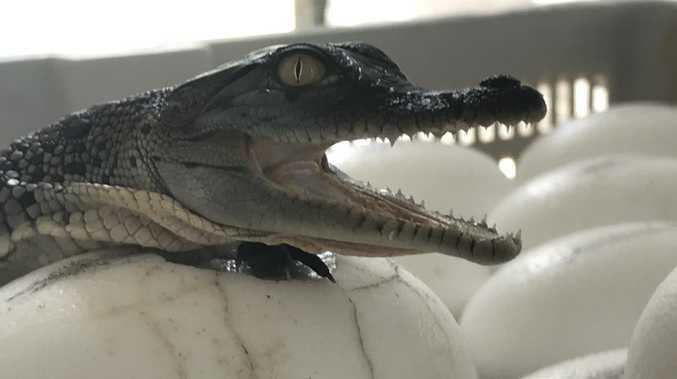 Hartley's Crocodile Adventures has welcomed its first hatchlings of the year at its Wangetti croc farm, with dozens of the small, already toothy predators starting to hatch this week. Many of the baby saltwater crocs were fathered by Scarsides, the 4.2m long "senior citizen" of the farm. Scarsides, who is estimated to be in his 70s, was one of the zoo's original show crocs from the 1970s until the 2000s, until he grew too large and too strong for wildlife keepers and retired to a life of sexual bliss as a stud croc. Farm manager Trent Hockey said age did not appear to be an issue for the very virile reptilian. "He's going well," he said. "He's probably one of our more aggressive crocs, and he's been put with a large female, as well. "They seem to have hit it off pretty well." Hartley's, which has operated as a commercial crocodile farm since 1989, can house up to 4000 crocodiles at any one time. The hatchlings, once they grow large enough within the next 2-3 years, will be used as leather goods, and their meat distributed via the zoo's restaurant, and local butcheries. 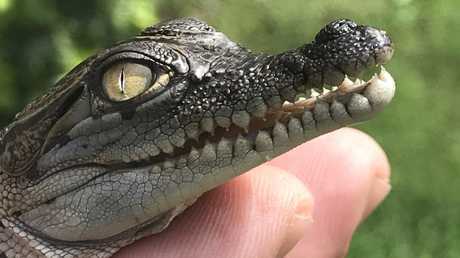 The farm is considering applying for a wild croc egg harvest licence, after the ban on wild egg collection was overturned by the Queensland Government late last year. Mr Hockey, however, warned collecting eggs from saltwater crocodiles was one of the most dangerous jobs in northern Australia. 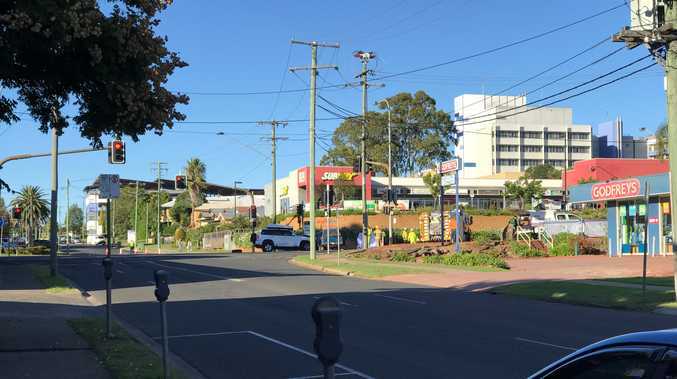 "We've got three farmers at the moment and they are highly trained," he said. "There's no messing around when it comes to collecting eggs. "Only certain staff can do it, and it's not something you can go to school and learn. "You need to be in the industry to have the proper experience and training to do these sorts of things." He said collecting eggs from the dangerous native animals, which are notoriously protective of their nests, was never something to attempt alone. "Depending on the location of the nest, if it's in a breeding enclosure here, we use more staff," he said. "If it's in an open area, like in the lagoon where the boat rides are, there are less staff because you've got a bit of room to run. "So you can splash a bit of water, and stuff like that to distract the crocodile over there, so someone else sneaks in and gets the eggs."